The discovery of a perfectly preserved baby Woolly Mammoth by a nomadic reindeer herder in the north-western part of the huge Siberian tundra, sent shock waves rippling across the scientific world. 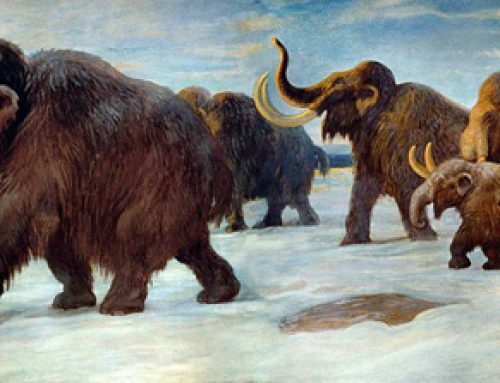 Baby Woolly Mammoths had been found before, but they had been weak and sickly animals, Lyuba (as that was the name given to the carcase), was different. Here was a young Mammoth that had drowned and by all accounts was a strong calf. Her body was to provide an insight into the fauna and flora of an Ice Age world some 40,000 years ago. The story of the research and the study of this amazing well preserved fossil has been made into a ninety minute documentary. It has been shown on satellite television channels before, but it is being shown on terrestrial television for the first time this Friday. This programme is being shown on Channel 4 at 9pm on Friday December 4th. It should be fascinating.